Steve and everyone at SJ Wolfe Racing would like to thanks all our wonderful staff, patient and loyal clients, fearless jockeys, stable supporters and friends for their contributions to another successful season. In the recently completed 2017/18 racing year, we saddled up 387 starters for 44 winners (12 in town) and 98.5 placegetters, with earnings in excess of $1.56 million. 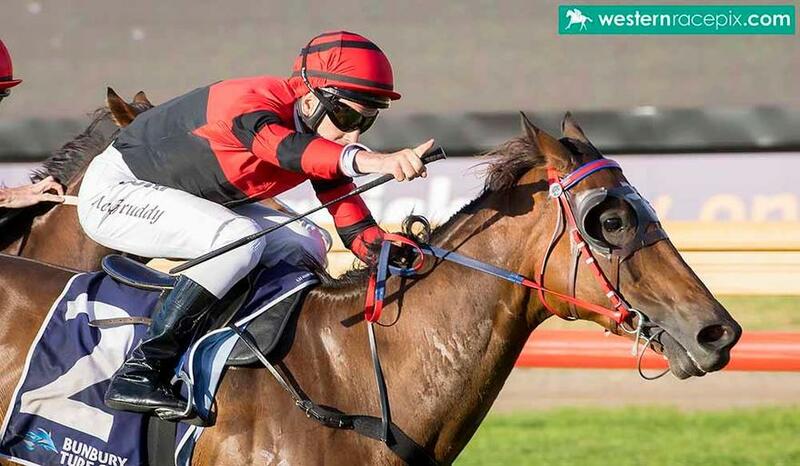 We had many memorable days at the office, most notably Lordhelpmerun's victory in the $250,000 WA Sires' Produce Stakes (Group 3-1400m) at Ascot on April 28, Red Ora's feature-race double in the $100,000 Mungrup Stud Sprint (1300m) on January 21 and the $120,000 Bunbury Stakes (LR-1400m) on March 21, and our four-win haul on Albany Cup Day on April 1. 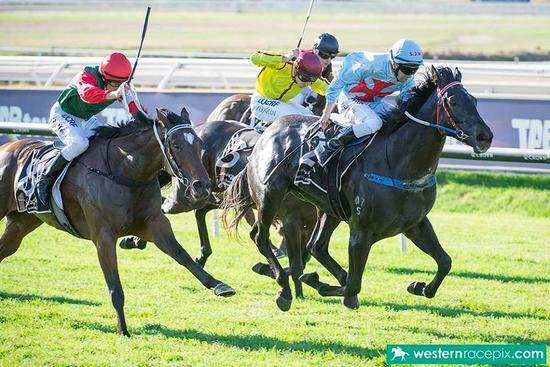 We were also thrilled to win the Great Southern (Albany/Mt Barker) Trainer Premiership for the 20th time in the past 22 seasons, while up-and-coming stayer Gauged was rewarded for some outstanding results by claiming the Great Southern Horse Of The Year award. Lordhelpmerun's brilliant juvenile season, which included a brave third placing in the $500,000 Karrakatta Plate, has seen him nominated for the Inglis Insurance Brokers Two-year-old of the Year title at tomorrow's 2018 WAROA Racing Awards night. Further recognition of a fantastic season for our stable, and an outstanding result for our friends at Mungrup Stud and their exciting young stallion Playing God. 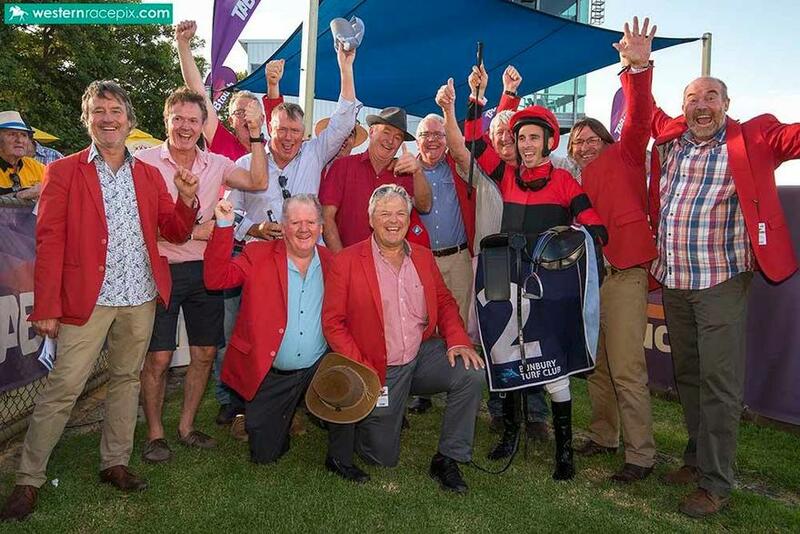 - 'The Red Coats' celebrating Red Ora's Mungrup Stud victory. We are very much looking forward to the 2018/19 racing season and have high hopes for the likes of Lordhelpmerun and Red Ora, while we're confident established city-class performers such as Three Secrets, Arrum Boy, My Greek Boy, One Short, Minus Looks and War Jeune can all elevate further, and continue flying the flag for Team Wolfe in town. While Lordhelpmerun is obviously the cream of the crop so far, we are excited by our strong bunch of new-season three-year-olds, including the likes of One Point Lady. Starorio, Demeritise, War Class and What About Moses, who all trialled nicely at Lark Hill last Monday July 30. - Red Ora and Shaun 'Shooter' McGruddy dominate the Bunbury Stakes. We are also very pleased with the type of horses we secured at this year's yearling sales, with our beautiful Playing God ex Moodometer filly and well-related Gingerbread Man ex Brocky's Ace gelding (a half-brother to $572,900 earner Quilista) currently progressing sweetly through their early education programs. 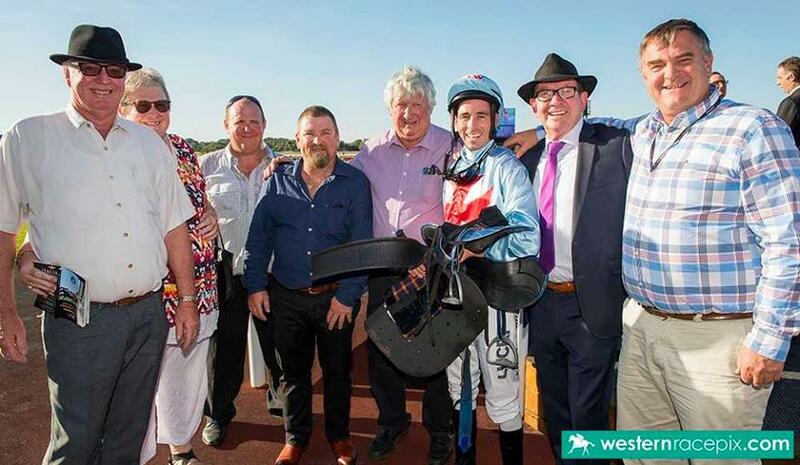 - Team Wolfe all smiles after our WA Sires' Produce Stakes success. There are plenty of ownership opportunities currently available at our stable, with a range of options to suit all budgets, so if you want more information or simply like to discuss how you can get involved please call Steve on 0409 905 327 or go to our website www.sjwolferacing.com.au. One again, everyone at Team Wolfe would like to take this opportunity to show our gratitude to all those who helped make 2017/18 a fruitful one, and to say that we are committed to getting the best out of our squad in season 2018/19. Exciting times ahead for SJ Wolfe Racing!